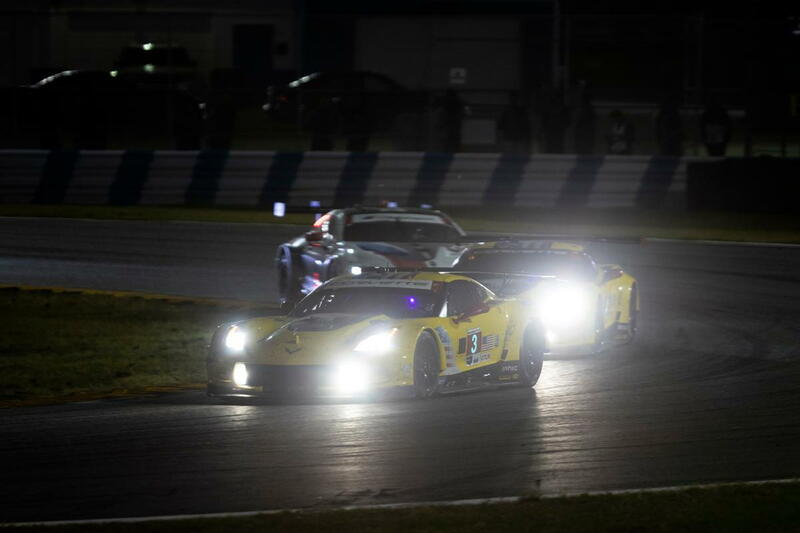 the 2019 IMSA WeatherTech SportsCar Championship. Rockenfeller led the team’s effort with a sixth-place class finish. Corvette before the two C7.Rs made contact in pitlane. ran out of fuel on the backstretch of the 3.56-mile circuit. make up two positions before the race was stopped for the final two hours. later. All three drivers spent time in the lead of the class. the left side of the Corvette. inside eight hours to go. Saturday, March 16 from Sebring International Raceway in Sebring, Fla.
sister car, but we knew it was early in the race. It was no big issue. damage the car, and the end of the day there was nothing I could do.